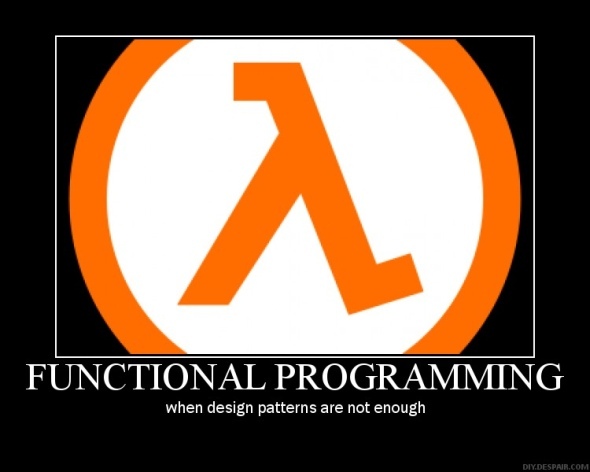 " Functional programming - treats computation as the evaluation of mathematical functions and avoids state and mutable data. " So what am I thinking? The mutable data means, you have to or "must" control which function takes this data first if there are some functions concurrently refer to it. 2 threads use the shared object "Integer n". What happens when you share a fork with your friend. You have to wait him. Yes, you must use a lot techniques to solve some classic multi-process synchronization problems. I notice the deadlock happens as it describes "The philosophers never speak to each other, which creates a dangerous possibility of deadlock when every philosopher holds a left fork and waits perpetually for a right fork (or vice versa). The cause of this problem is "the shared resources" , here is the fork. We have 5 philosophers , and just 5 forks for them. If each philosopher has 2 forks, so nothing to share, and everyone can take his dinner independently. In practice, what happens when you develop a system for multi-billion users. If you use the Google, you will understand what I mean.